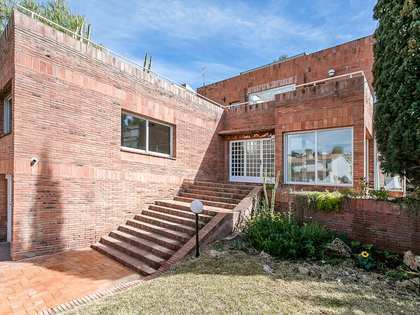 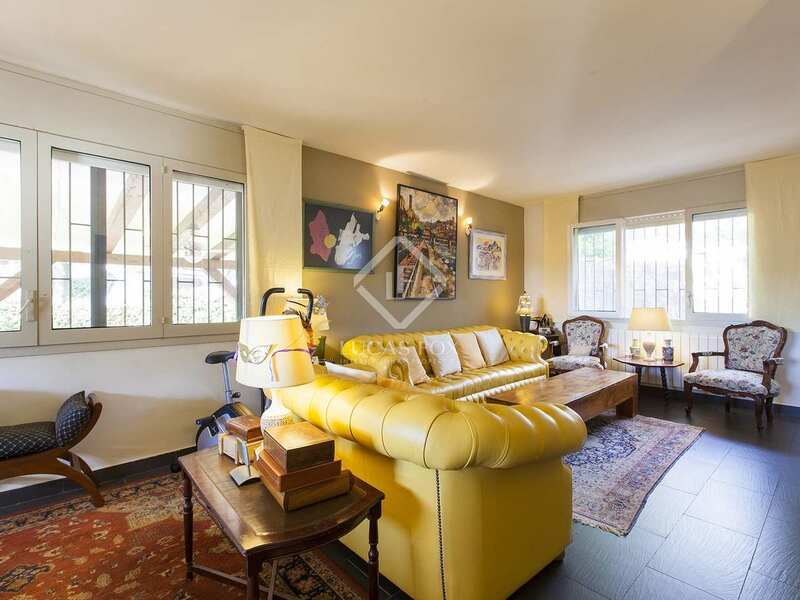 This comfortable family home for sale is found in a quiet area of Vallpineda within walking distance of everything the urbanisation has to offer - schools, restaurants, sports facilities and more. 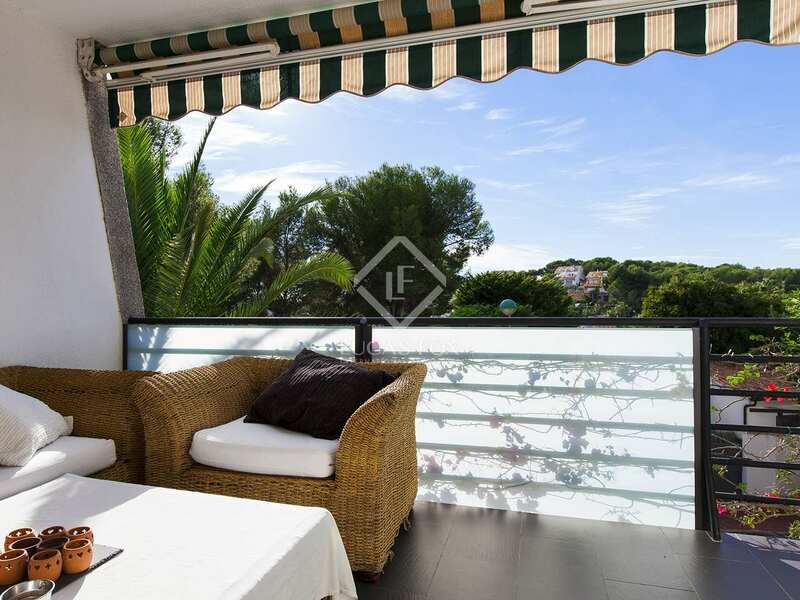 Recently renovated, the property has very comfortable spaces and nice finishes throughout, and offers great outdoor spaces for families or entertaining. 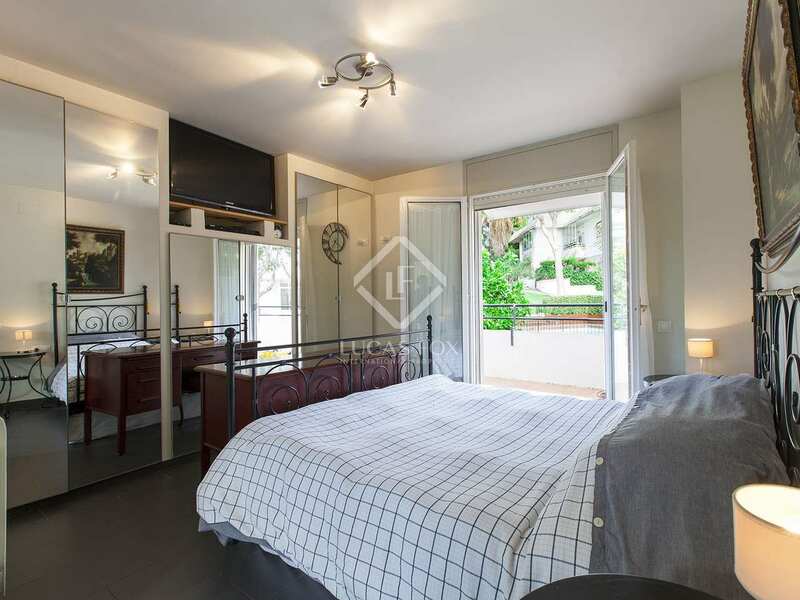 The master ensuite bedroom has a private terrace with wooded views while the property's façade faces south and has nice terraces with partially wooded views. 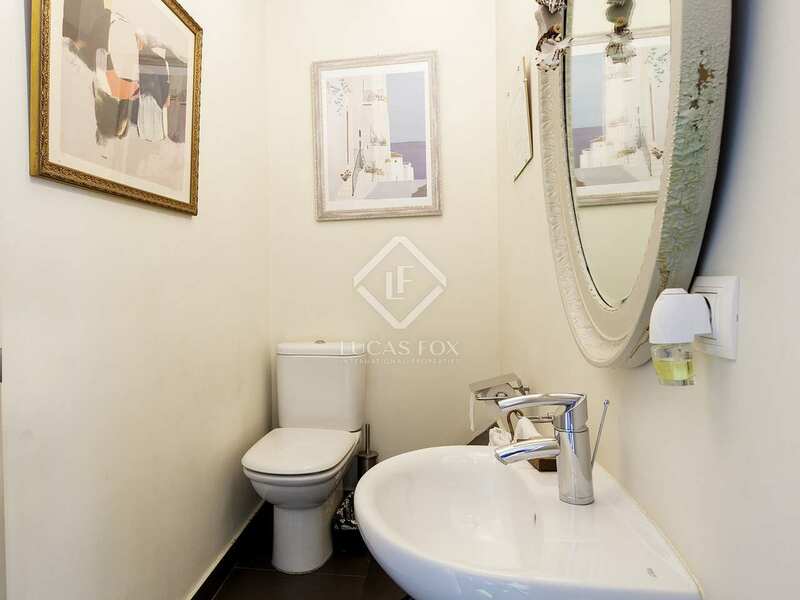 The bathrooms all have nice finishes. 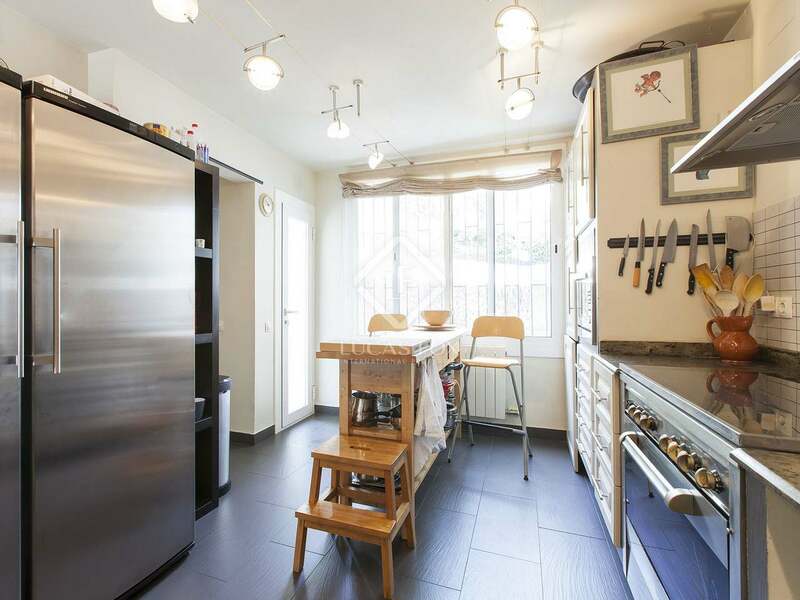 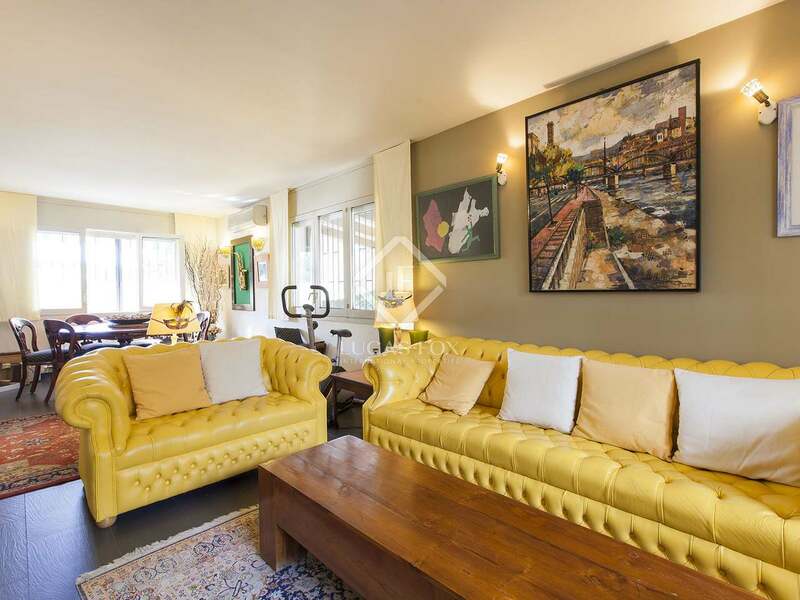 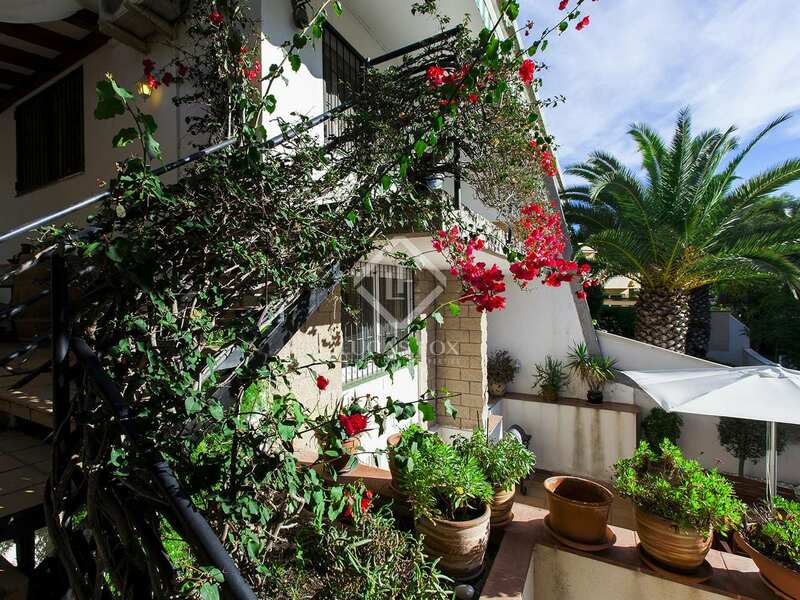 The 2 lower levels have been used as a summer rental and feature 2 double bedrooms and an open area for beds or an office and a complete bathroom. 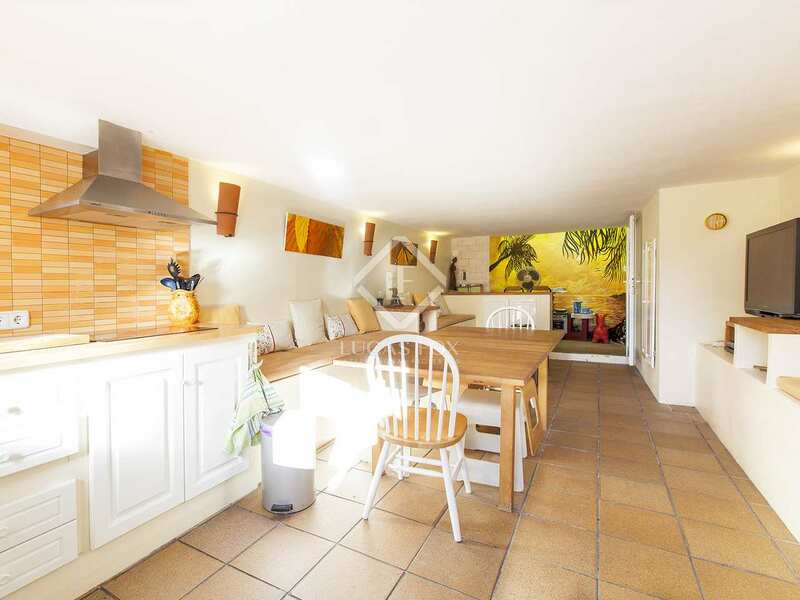 The next lower level measures 30m² and has been converted into a summer kitchen/living/dining room with access to the 30m² sun patio at the front. 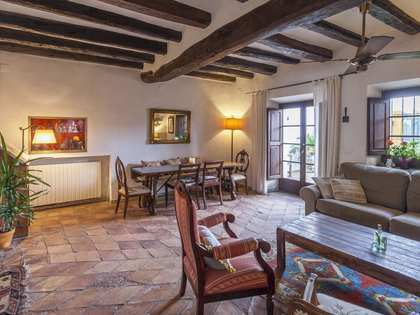 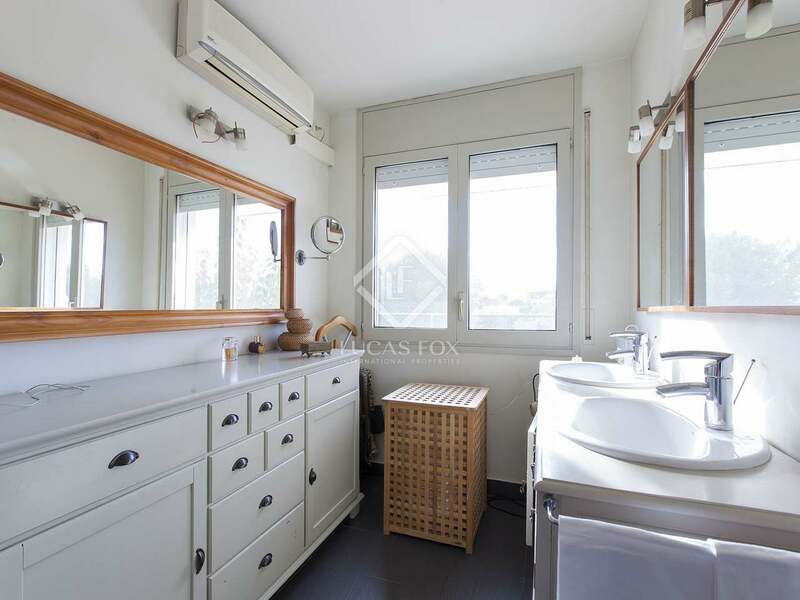 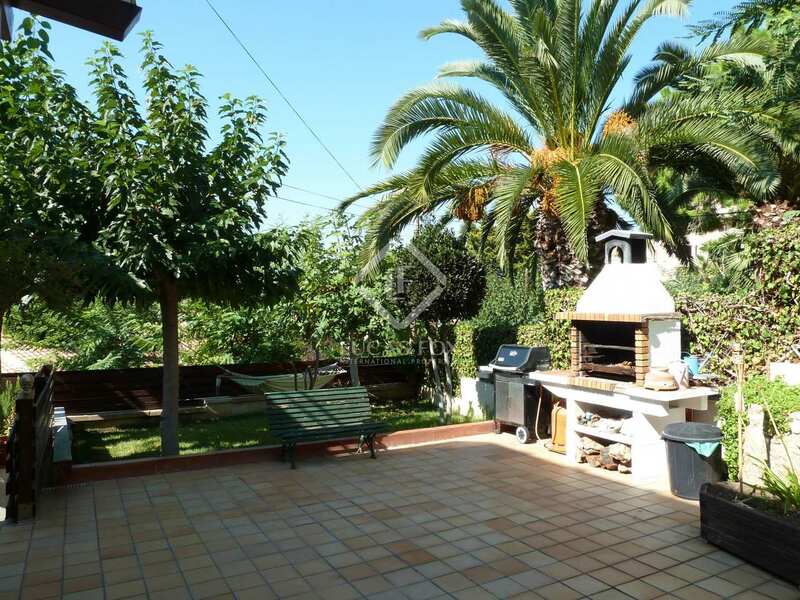 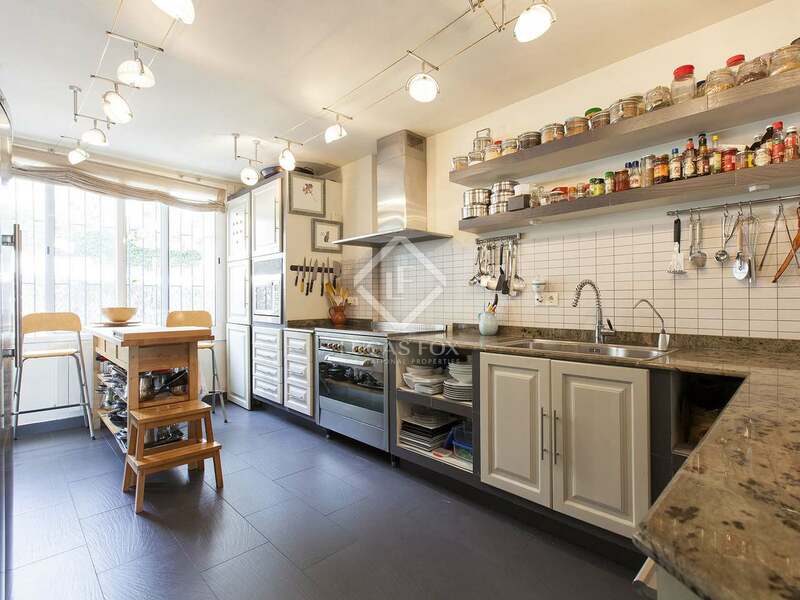 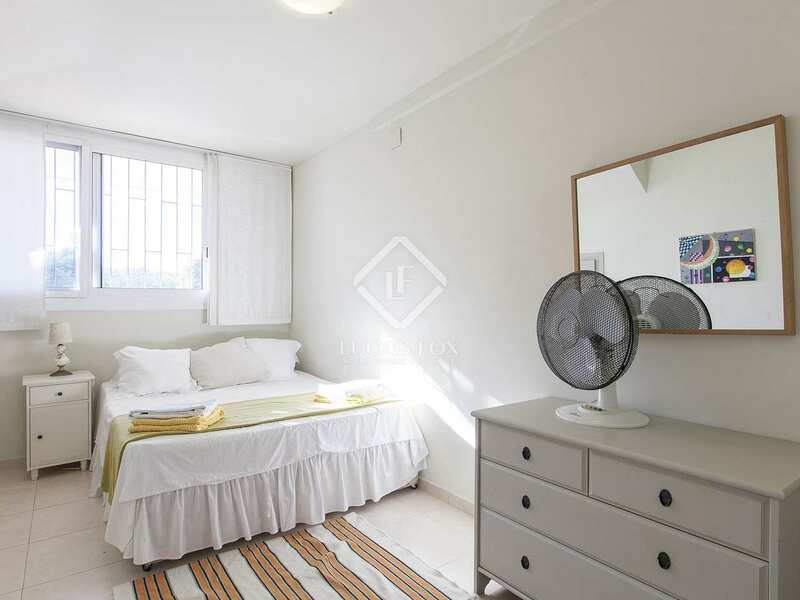 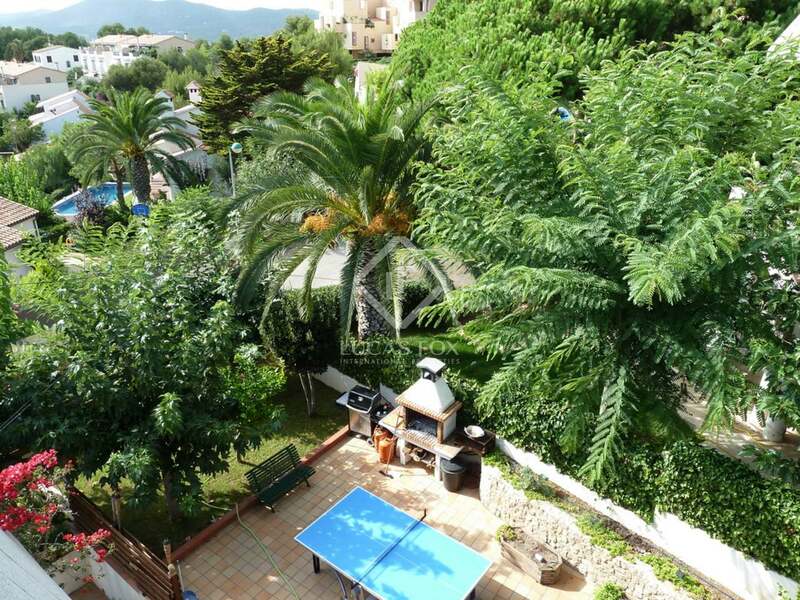 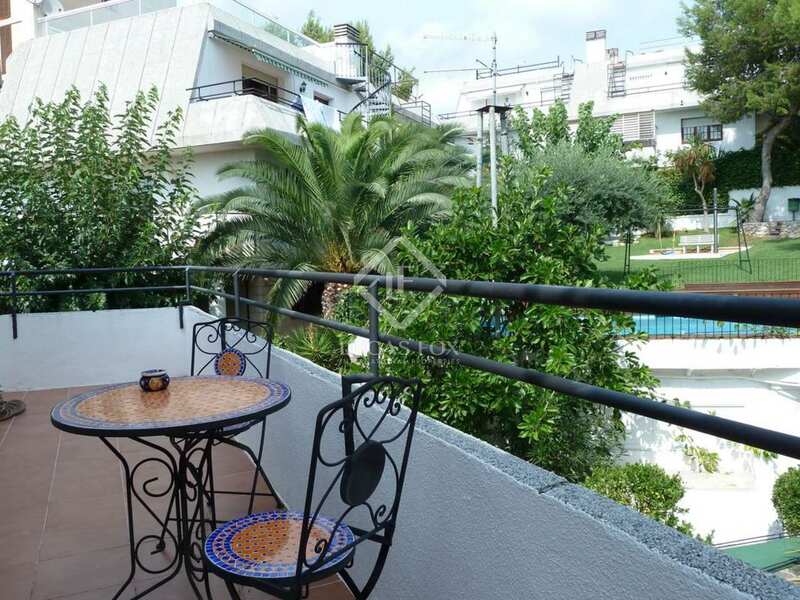 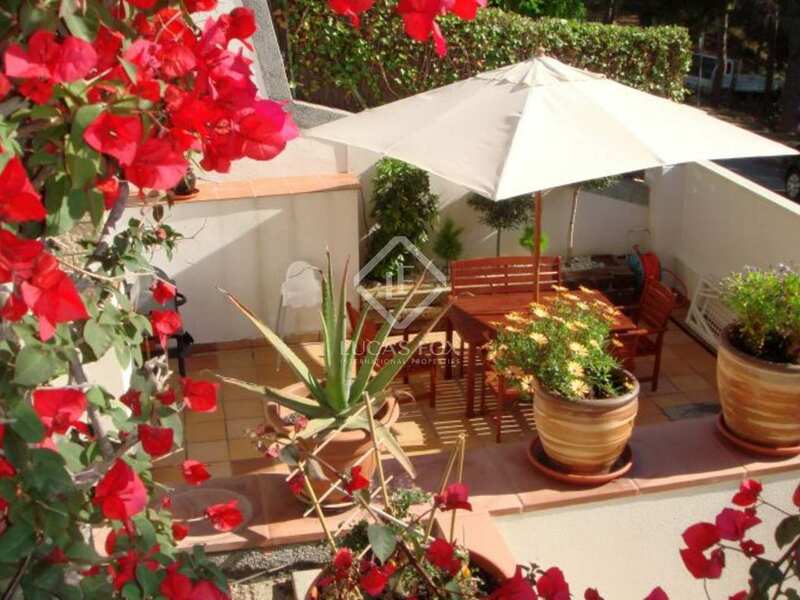 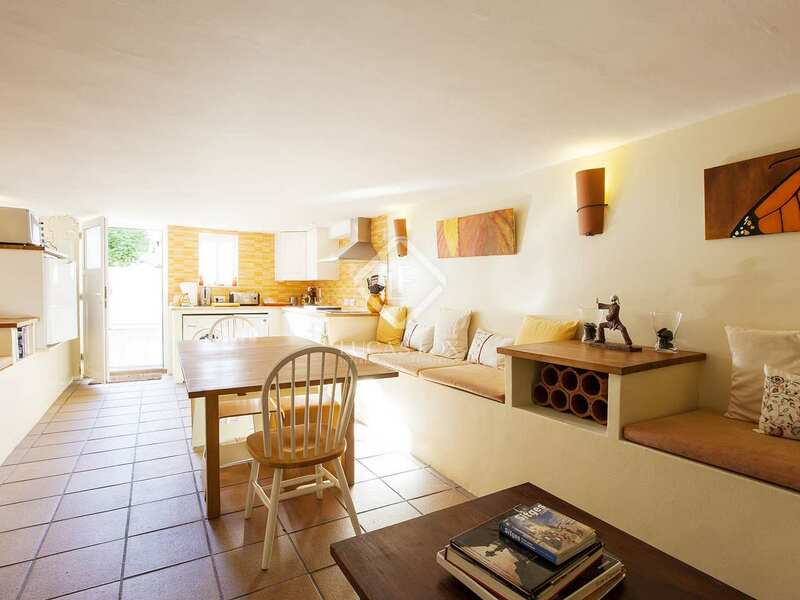 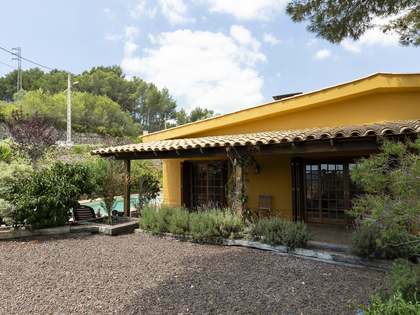 The property features a tiled side patio of 80m² that is perfect for barbecues and relaxing. 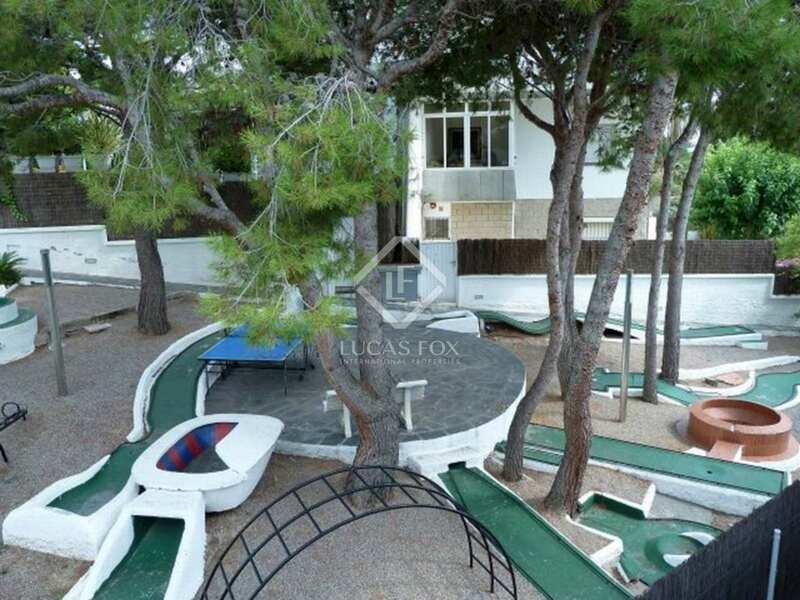 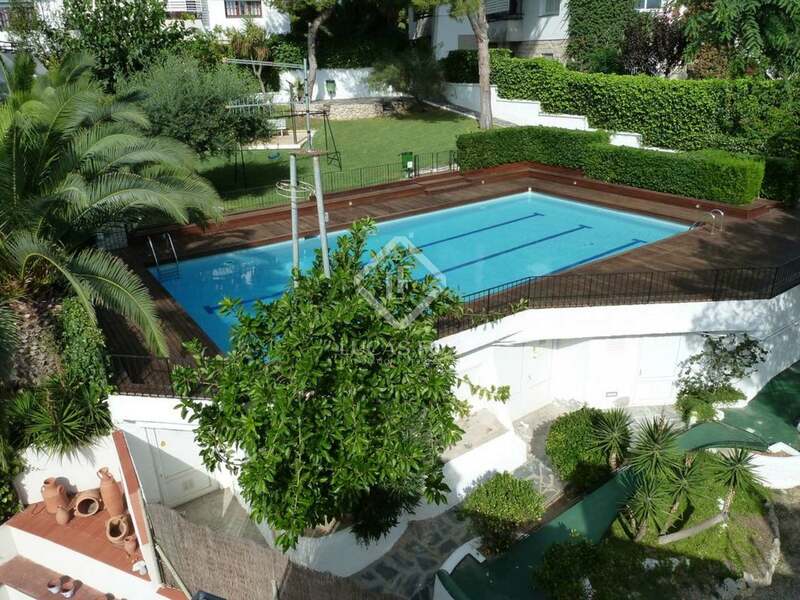 There is also a communal green space of 850m² with a large swimming pool and mini golf. 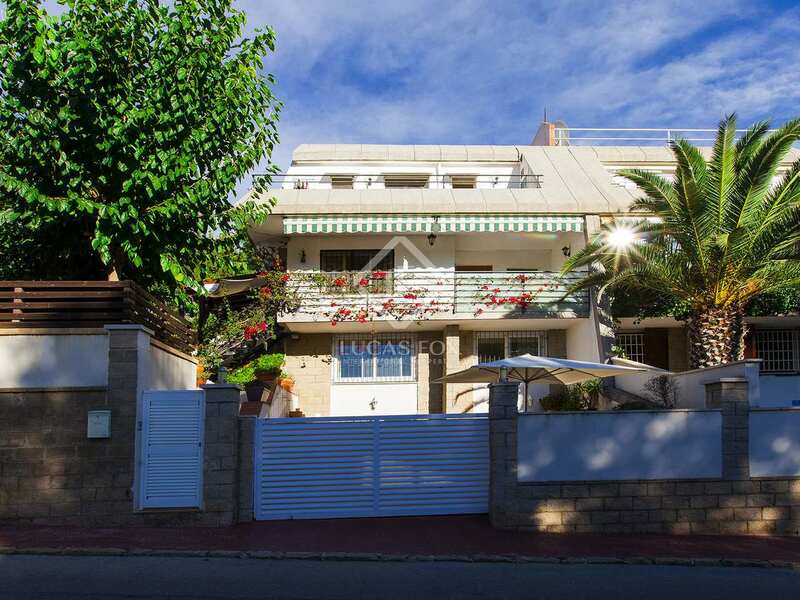 The development is made up of 12 semi-detached houses. 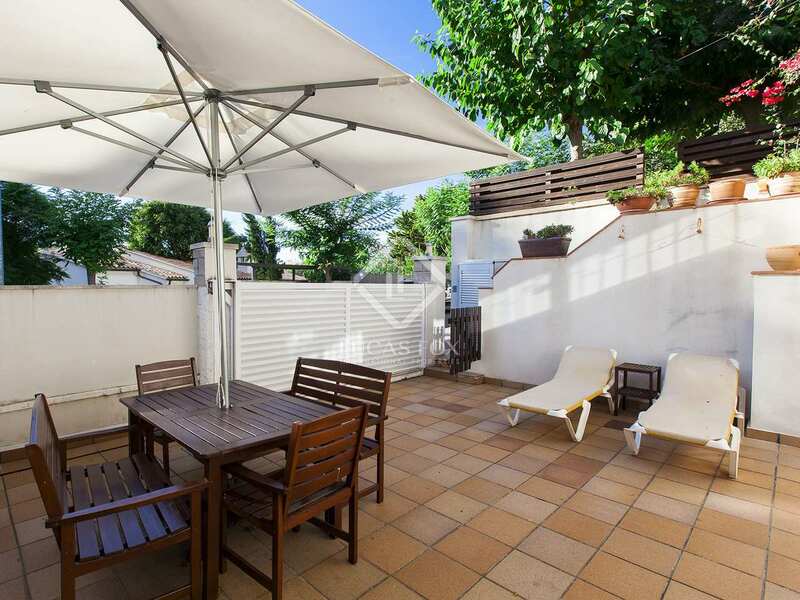 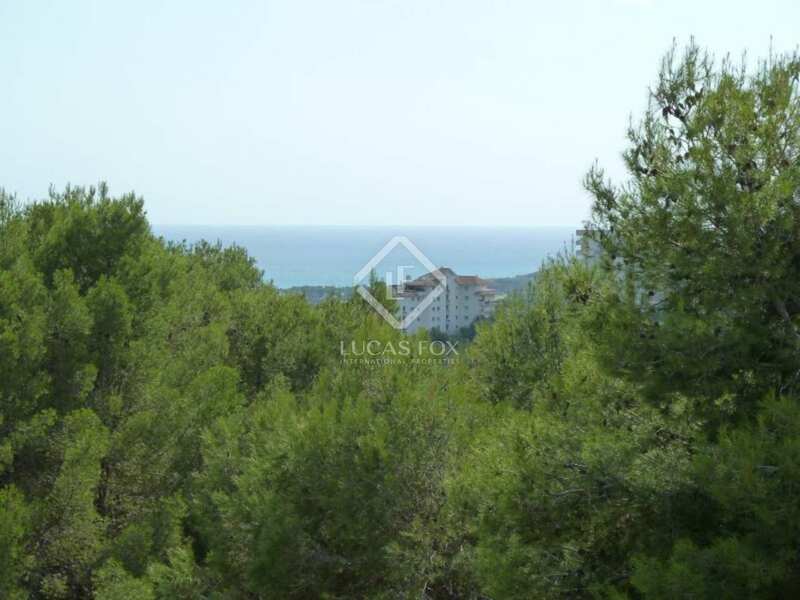 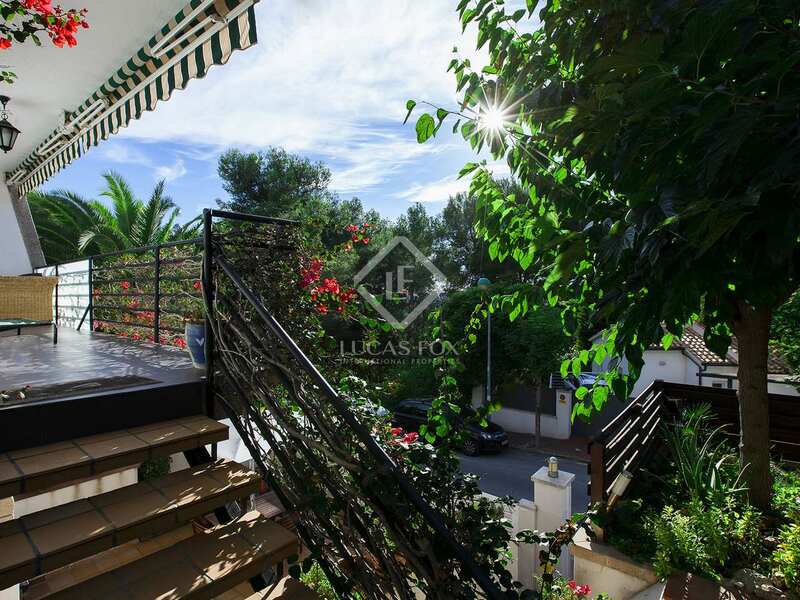 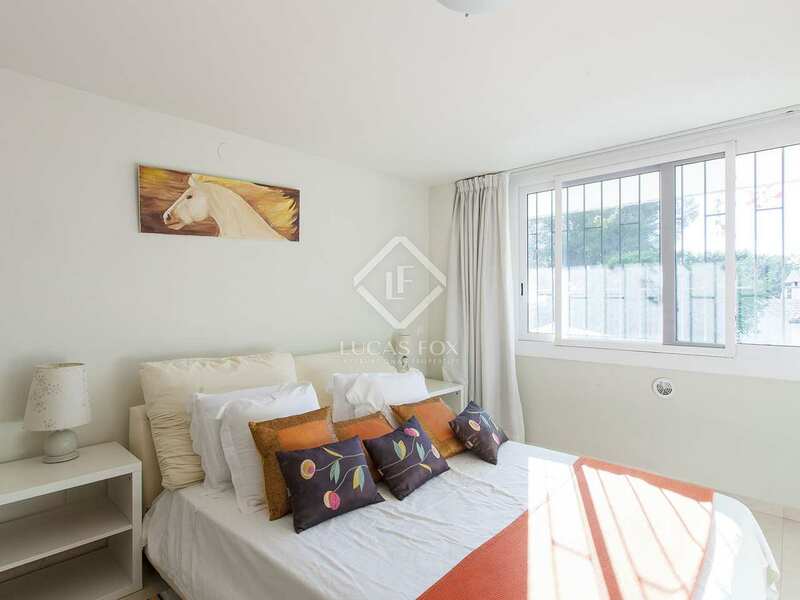 Vallpineda is a quiet residential area with sea views situated just above Sitges, a 10 minute walk from the town centre. 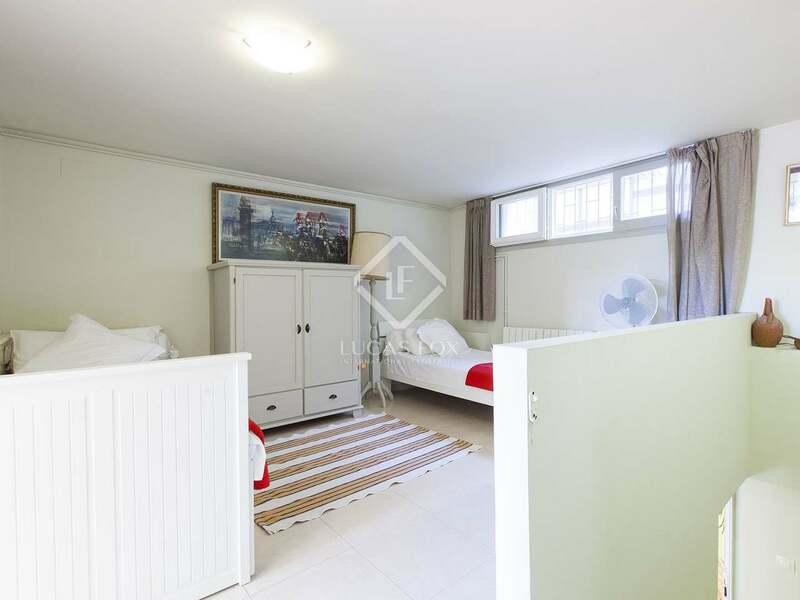 It is a family-oriented environment, complete with schools, sports facilities, an equestrian centre, restaurants and 24 hour security.